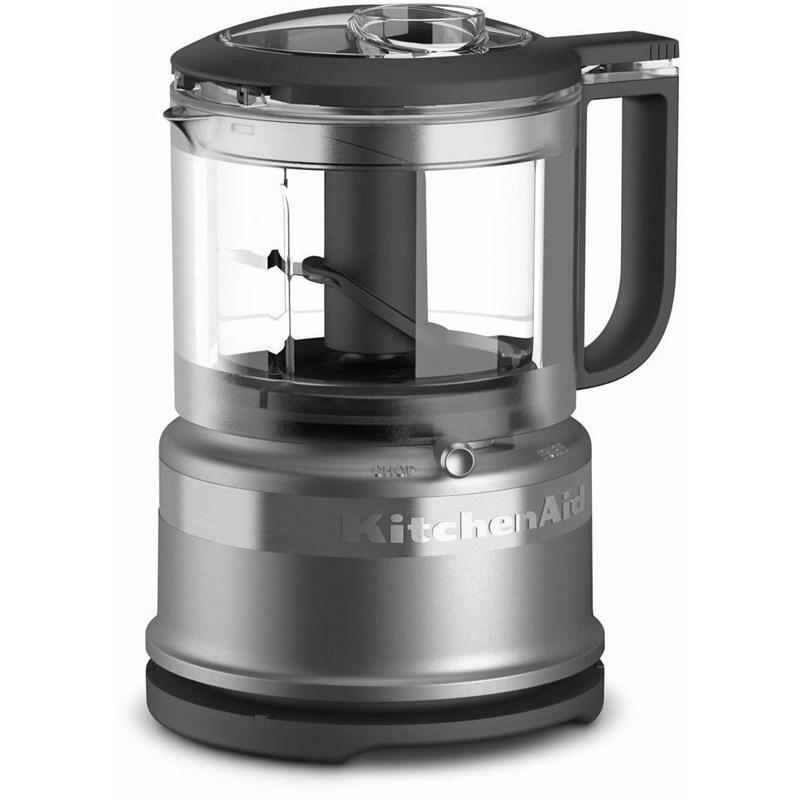 KitchenAid® compact and lightweight 3.5 cup mini food processor is the perfect size for everyday use in the kitchen. 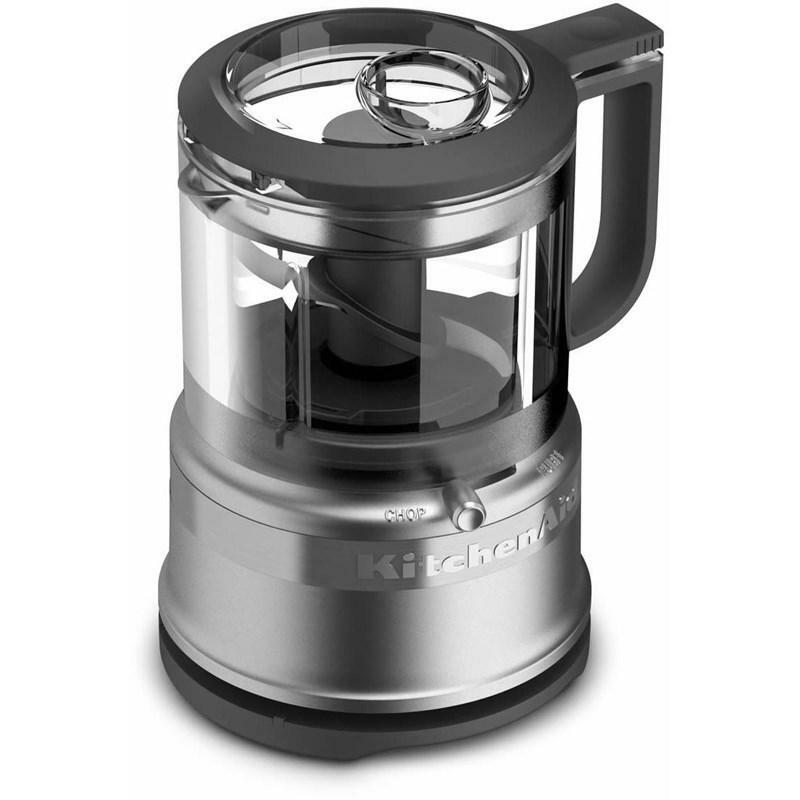 Great for quickly chopping ingredients, preparing dressings and sauces, and so much more. 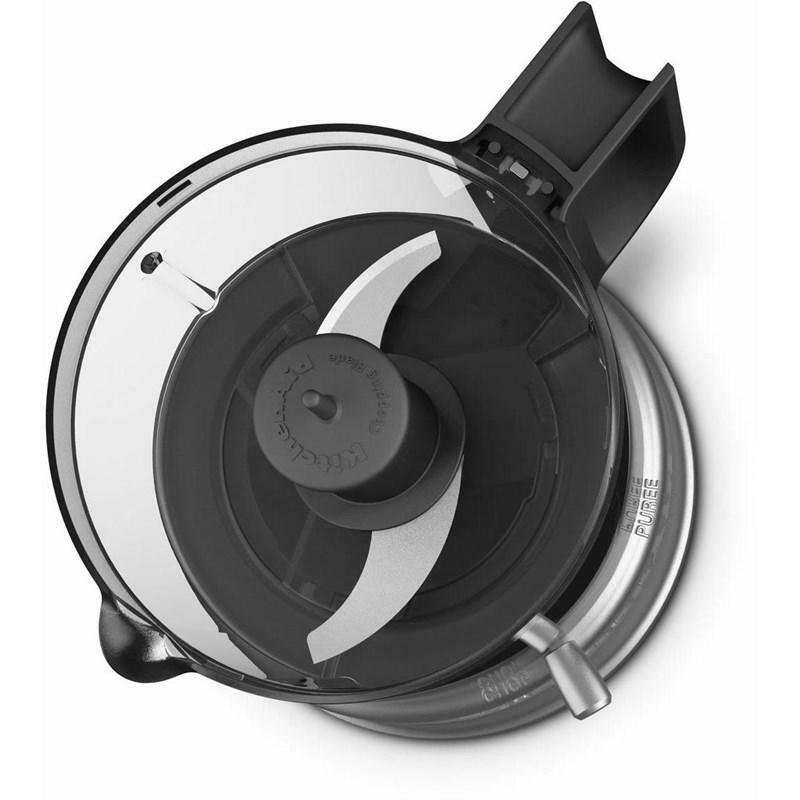 The uniquely designed stainless steel blade precisely chops and purees, and locks in place for convenient pouring. The uniquely designed Stainless Steel Blade chops and purees. Quick creations and everyday meal prep are made easy with a 3.5 cup work bowl that features a locking blade, handle and pour spout for easy serving. Easy to clean, dishwasher-safe work bowl, lid and blade. Master tasty dressings and sauces with the drizzle basin, to easily incorporate liquid ingredients while processing. 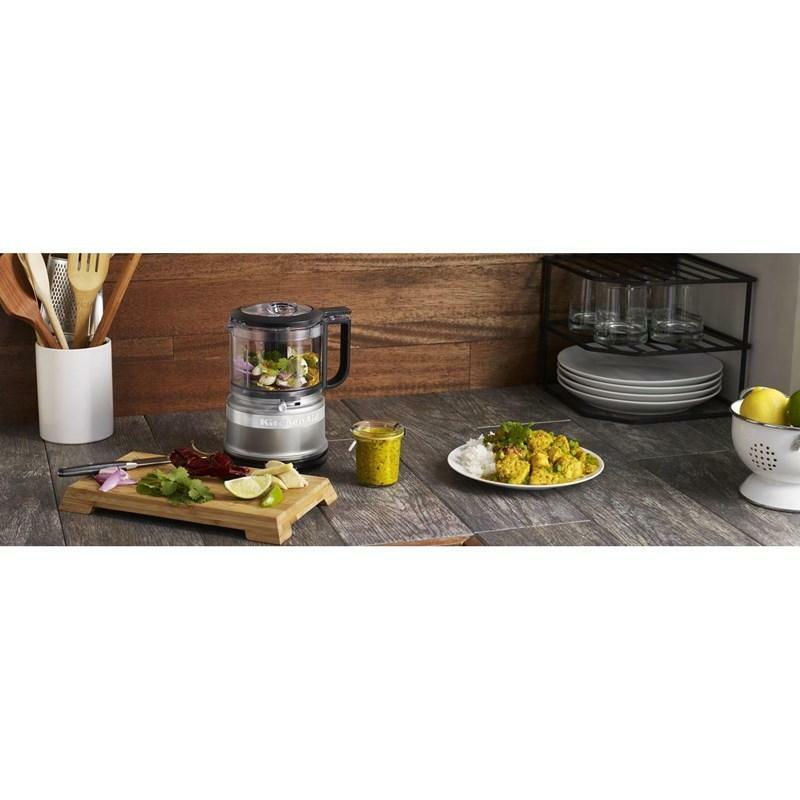 2 speeds and Pulse operation give you precise control to produce coarse or fine results – ideal for anything from creating a chunky pico de gallo, a creamy hummus, smooth sauce or tasty dressing. Compact and lightweight, the Mini Food Processor is the perfect size for everyday use in the kitchen. Great for quickly chopping ingredients, preparing dressings and sauces, and so much more.